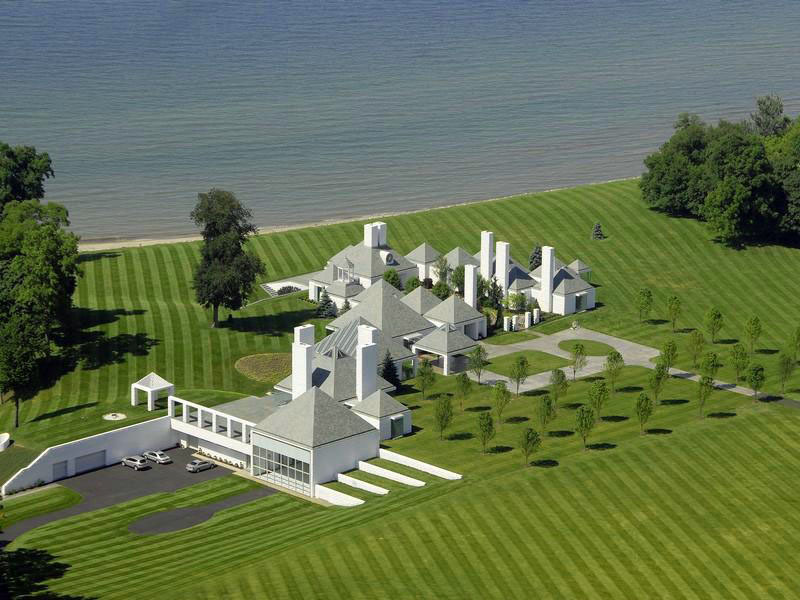 The Waterford Estate is a stunning 160 arce Shangri-La on Lake Erie in Vermilion, Ohio with 2,300 of waterfront, its own private beach and a marina. Built in 1991, the immaculately landscaped property was owned by the late Donald Brown, the inventor of the drop ceiling. Designed by architect Hugh Newell Jacobsen, the home is a series of concrete “pods” connected by glass corridors. Some of the unique features of the property include a heliport, a airplane hangar, and a garage with rotating floor so that there is no need to back up your car. Inside the 2-storey residence, the atmosphere is intimate even with its 100 rooms, which include 5 bedrooms, 16 baths, 3 kitchens, 2 kitchenettes, a wine grotto, a sauna, 2 elevators, a 40′ lap pool and a 20′ round indoor pool. 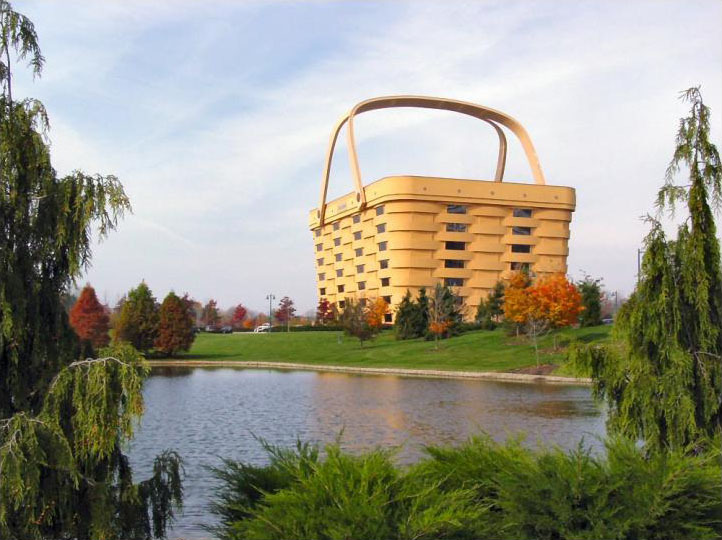 This eye-catching building is the home office of The Longaberger Company in Newark, Ohio. Longaberger — a basket manufacturer — commissioned NBBJ Architects and Korda Nemeth Engineering to construct the seven-storey building which was completed in 1997. The Longaberger gold leaf painted tags are attached to the sides of the building along with two basket handles on the top.